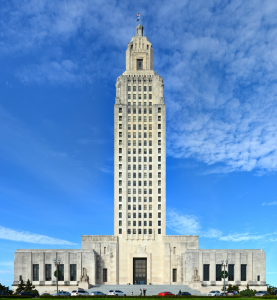 BATON ROUGE – Lawmakers in Louisiana will soon decide whether or not to repeal two laws which allow balanced discussions of the creation/evolution debate in public schools. Last week, Senate Bill 70 (SB70) was introduced to the Louisiana Senate by Senator Dan Claitor. SB70 calls for the repeal of the Balanced Treatment for Creation-Science and Evolution-Science Act—a 1981 law which allows both creation and evolution to be taught in public schools. The U.S. Supreme Court struck down the Balanced Treatment Act in 1987, saying the law unconstitutionally advances a “religious viewpoint.” However, despite the court ruling, the act has remained on the state books as an unenforceable law. Last year, Claitor submitted a similar measure in the state senate to repeal the Balanced Treatment Act. However, as previously reported, the initiative was rejected by Louisiana’s House Education Committee. On the same day SB70 was introduced to the Louisiana Senate, Senator Karen Carter introduced Senate Bill 175 (SB175), which—if passed—would repeal the Louisiana Science Education Act of 2008. The Science Education Act promotes “open and objective discussion of scientific theories being studied,” including evolution, life’s origin, and global warming. Even though Louisiana’s Science Education Act forbids the promotion of any religious doctrine or beliefs, evolutionists claim the act is used to give undue credibility to the biblical creation model. “[The Science Education Act] puts Louisiana’s children at a disadvantage when it comes to their potential opportunities in growing fields such as biotechnology and health sciences,” Carter wrote in a statement. “But, our children will be ill-prepared for those exciting potential careers without a modern education system that is respects [sic] and celebrates science,” she added. After their introductions last week in the state senate, both SB70 and SB175 were sent to the Committee of Education for review. In the meantime, many evolution proponents have voiced support for the bills, saying creation should never be discussed in public schools. “With a state government that actively subverts the teaching of real science, is it really all that surprising Louisiana is one of the poorest federal government dependent states in the union?” one commenter asked. Others argued that scientific evidence for evolutionary theory is far from conclusive, so teachers should be allowed to teach students both sides of the debate.